TCBY opened the doors of its first yogurt store in 1981 in Little Rock, Arkansas. 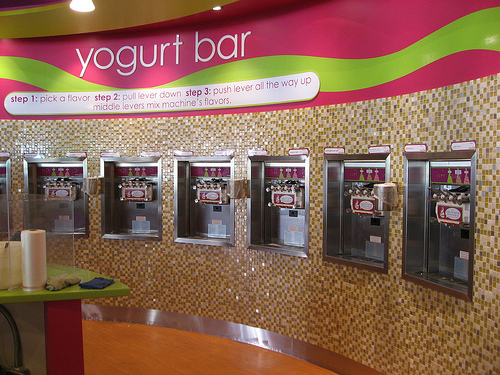 Now, with over 450 stores, it is the largest retailer of frozen yogurt in the United States. TCBY specializes in creamy low-fat frozen yogurt and at most of their shops you get to make your own yogurt with whatever flavors and toppings you wish. 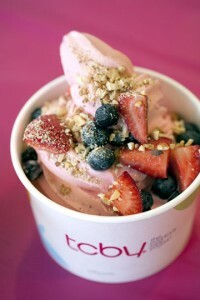 In addition to frozen yogurt, TCBY also offers specialty yogurt cakes, shakes, smooties, banana splits, and hand scooped frozen yogurt that is hard like ice cream. Their frozen yogurts contain these ingredients: Whole Milk, Skim Milk, Condensed Skim Milk, Sugar, Corn Syrup, Polydextrose, Whey, Contains 2% or less of: Vanilla Extract, Natural Flavors, Natural and Artificial Flavor, Natural Cream Flavor, Annatto, Vitamins A & D, Stabilizer and Emulsifier (Propylene Glycol Monoesters, Mono & Diglycerides, Guar Gum, Cellulose Gum, Carrageenan), Disodium Phosphate, Calcium Carbonate. Milk cultured live active cultures. 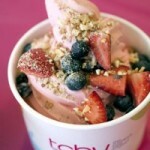 Next post: Is Frozen Yogurt a Fad or a Trend?